This is different type and nice too! 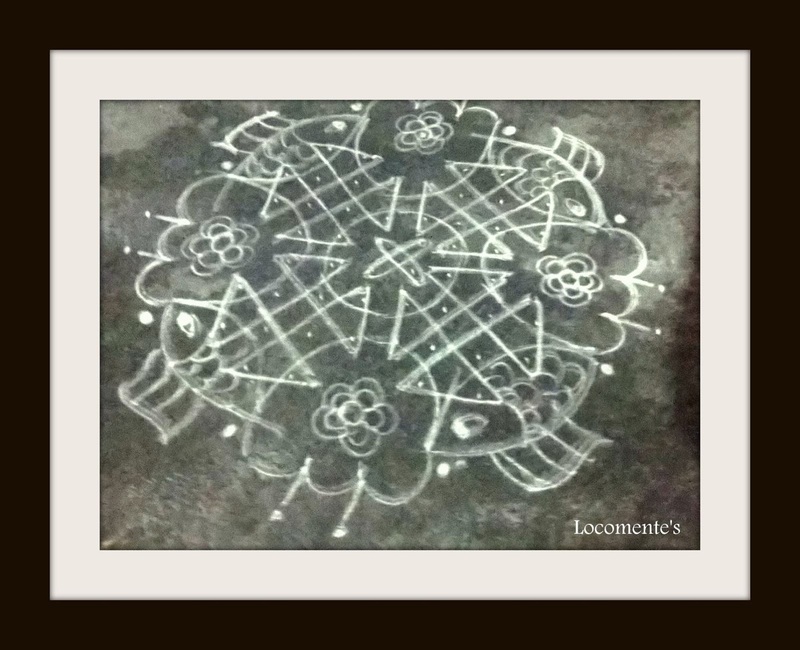 Interesting one with fish motifs, seeing fish motif for the first time in Rangoli. Good one, Satya! Hello! :) The Kolam is very pretty. It is a pity when traditions die out, and I found what you wrote about it very interesting. I see it daily. women drawing it freehand as if it was the simplest thing to do.